Be romanced by the beauty and tranquillity of the pristine waters of the Indian Ocean and create the wedding of your dreams at Hillarys Yacht Club. 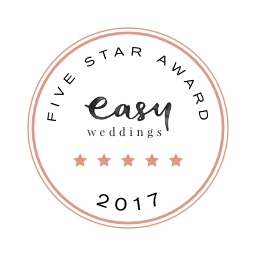 No matter what your requirements, our team of staff are there to assist in the coordination of your special day and to make it run as smooth and enjoyable as possible, from beginning to end. Hillarys Yacht Club has been assisting with the creation of dreams for years... Whether you are thinking of arriving to your reception by boat, an intimate cocktail reception for 20 guests or a grand dinner dance reception for 280 guests, Hillarys Yacht Club is the ideal wedding reception venue and promises to meet all your expectations. Providing comprehensive planning support, whether your wedding reception requires tailored menus, special set-ups or personalised services, our professional staff will work with you to create the wedding you had always imagined. Getting engaged is a very exciting time! Before you dive into organising all the details of your wedding, take the time to celebrate such a big moment with those who care about you the most - your friends and family. Engagement parties at Hillarys Yacht Club can be as relaxed or formal as you like, from small dinners where two families meet to large engagement parties with the full works! With packages from just $15pp, great value, great views and great times await you and your new fiance! Tie the knot on a Friday and SAVE BIG! FREE one year Ordinary Membership to Hillarys Yacht Club for the lucky couple. Nothing more to pay so you can enjoy your wedding venue all year round! Plus all our usual inclusions! That’s an additional $3,000 worth of value on your wedding - absolutely FREE! *Available on any Friday during 2019. New bookings only. SECURE YOUR DATE: Contact us today to ensure your preferred date is availble. We look forward to helping you create the wedding of your dreams. Set the date for May to August and save! arrive in style by boat or helicopter! Hillarys Yacht Club’s location provides a unique opportunity to arrive to your wedding by boat or by helicopter. Gracefully step off a beautiful power yacht directly into your Boardwalk Ceremony, or impress your guests by landing within the yacht club grounds after a short scenic flight to enjoy your wedding venue from the air before arriving in style! Ask us for details when you enquire.